I awoke gently, sensing a silent presence beyond the wall of our hotel room. It was just short of 5 in the morning, still dark. Opening the balcony door, I stepped out into the cold Sikkim morning. Outside, the prayer flags kept fluttering in the wind – waving gently at times, raging uncontrollably at other times. Even in that feeble light, I could make out the flush of colours – the yellows, the greens, the reds, and the blues. Beautiful, brightly coloured pieces of cloth, with the prayers of a thousand days sprawled across. Gentle or strong the wind was, the ancient Buddhist prayers, mantras and symbols were being carried away, blessing anyone coming in its way, uplifting the spirit, and making everyone a little happier. After all, they were silent prayers spoken on the breath of nature. I remained on the balcony, shivering, but fixing my gaze on the horizon. Suddenly she appeared, first like an apparition, and then softly, beautiful as a shimmer in the starlight. Mount Kanchenjunga – the five treasures of the high snow – the guardian deity of the Lepchas, the original inhabitants of Sikkim. 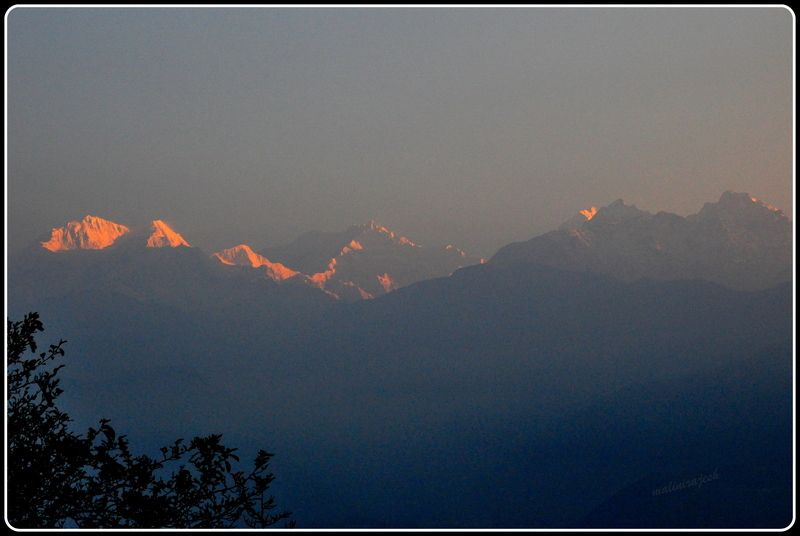 I had imagined a thousand times the effect of the sun rise on the Kanchenjunga range. 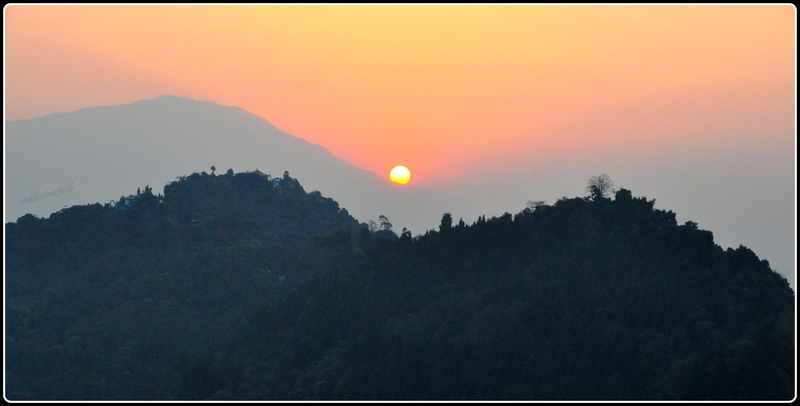 How the golden rays would cast a warm glow on the mountain slopes. How I’d frame my photographs around those snowy summits. Watching the play of alpen glow on the Kanchenjunga range, I realised that this was my first sight of Mt Kanchenjunga. This was our 7th day in Sikkim, and till now we had spent hours on the numerous terraces and balconies of the hotels hoping to catch a glimpse, but with no luck. For the last seven days we had spent four days in and around Gangtok, where the clouds stubbornly refused to part, and three days on the dusty roads of North Sikkim where Mt K was not visible. 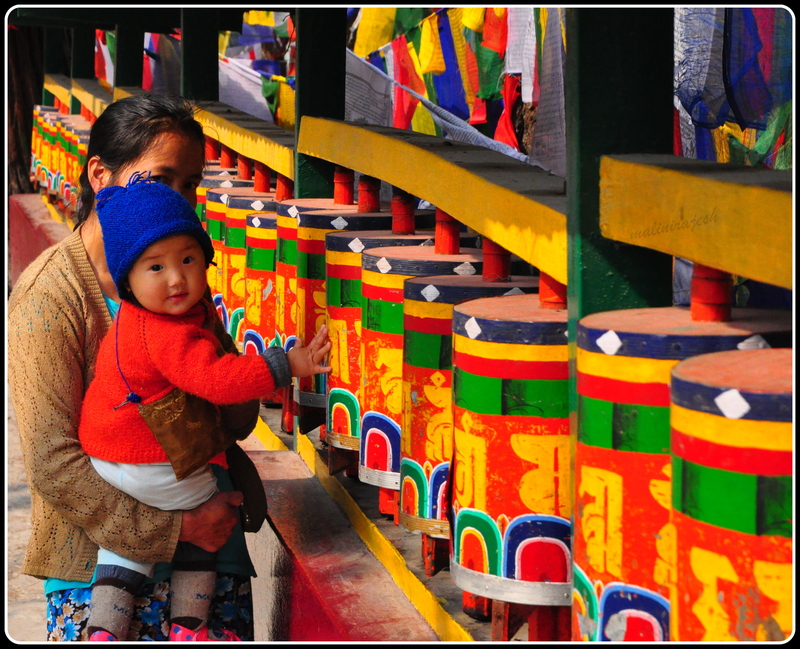 Sikkim had been calling us for a long time now. Long enough to virtually drive along the Google map roads, a thousand times. Every turn, every stream, every waterfall, every bridge……..was etched on our minds. The unfamiliar tongue twisting village names, at the tips of our tongues. And the colors. 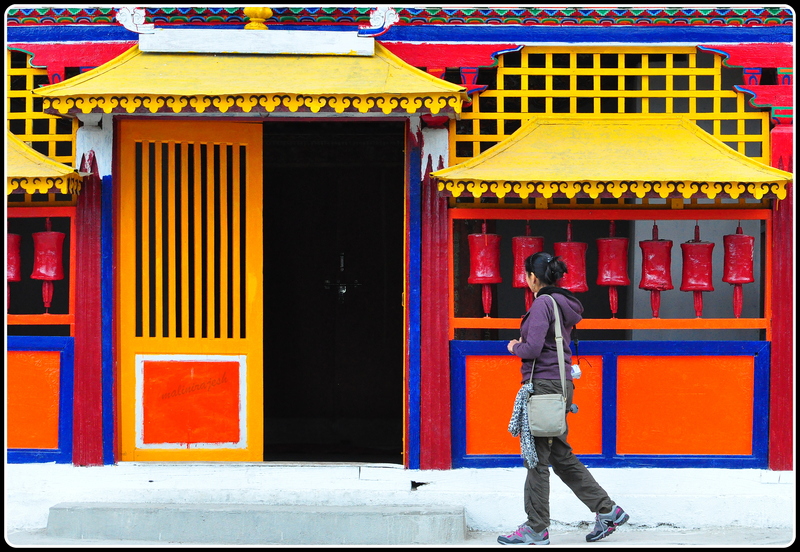 Everything in Sikkim is about colours – the prayer flags, the prayer wheels, the monasteries, the monks, the flowers, the Thangkas, the people – yet what comes out of all these vibrant colours is the colour of peace – the colour of white – the whiteness of the mountains. As the ridges of the five peaks of Kanchenjunga turned red with the first rays of light, I noticed that I had not carried my camera with me. Much as I felt a pang of remorse at missing out on capturing the elusive peak that morning, I was prepared to wait. After all, we were here in the orchid state for another week. And we were moving westwards, closer to Mt. K, and there wasn’t any place she could hide from us. The next rendezvous would, I was sure, be tomorrow, a little hill drive away. And this time, I would have my camera handy.